An Interesting ROYAL FLYING CORPS 1914-15 Trio. To: 5335. Pte. Arthur J.BARTHRAM. R.F.C. (Transfered to 6th Middlesex Rgt in Jan,1918 and then to Royal Fusilliers.) ALL MEDALS TO R.F.C. 5335. Pte. Arthur J.BARTHRAM. R.F.C. Entered France 20th December 1915. Comes with copy MIC, which states that his first 1914-15 Star was incorrectly named to "BARTHAM". 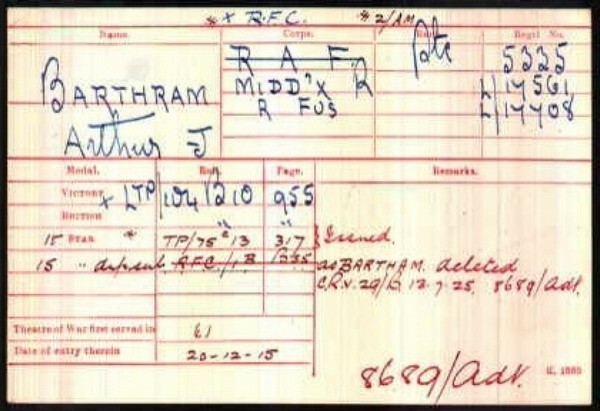 another star was subsequently sent with the correct name of "BARTHRAM"
Also included is a copy of a 'Receipt for Attestation (papers)' which was produced by 6th Middlesex Rgt on 5th February 1918 as a confirmation that his papers had been received from the RFC. Arthur was married to a Miss Harding in 1925 in Lincoln. 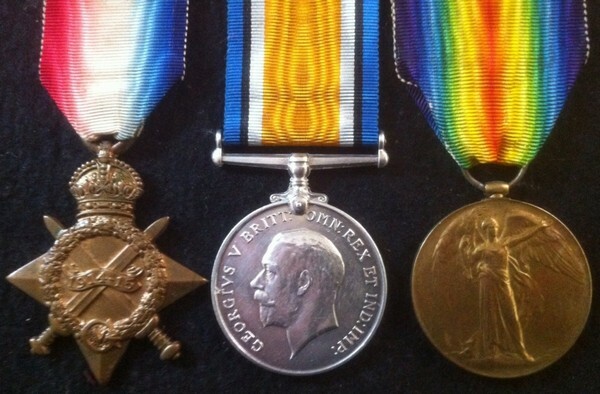 Medals EF on Original Ribbons. An Interesting ROYAL FLYING CORPS 1914-15 Trio. To: 5335. Pte. Arthur J.BARTHRAM. R.F.C. 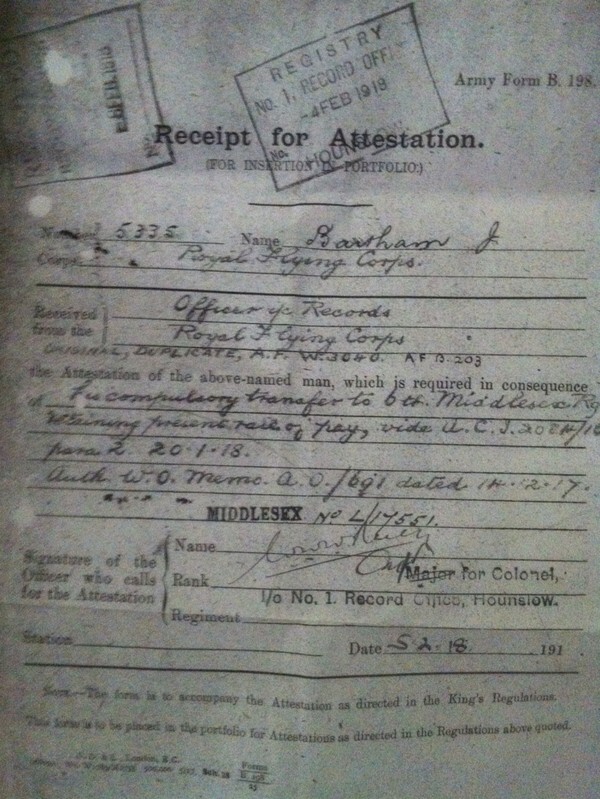 (Transfered to 6th Middlesex Rgt as Pte. 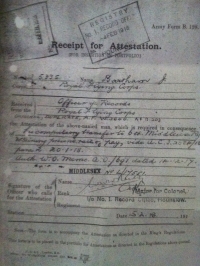 17561, in Jan,1918 and then to Royal Fusilliers as Pte.17708. ALL MEDALS TO R.F.C.